This year I have been working on creating a home that has a positive energy flow guided by the rules of Feng Shui. 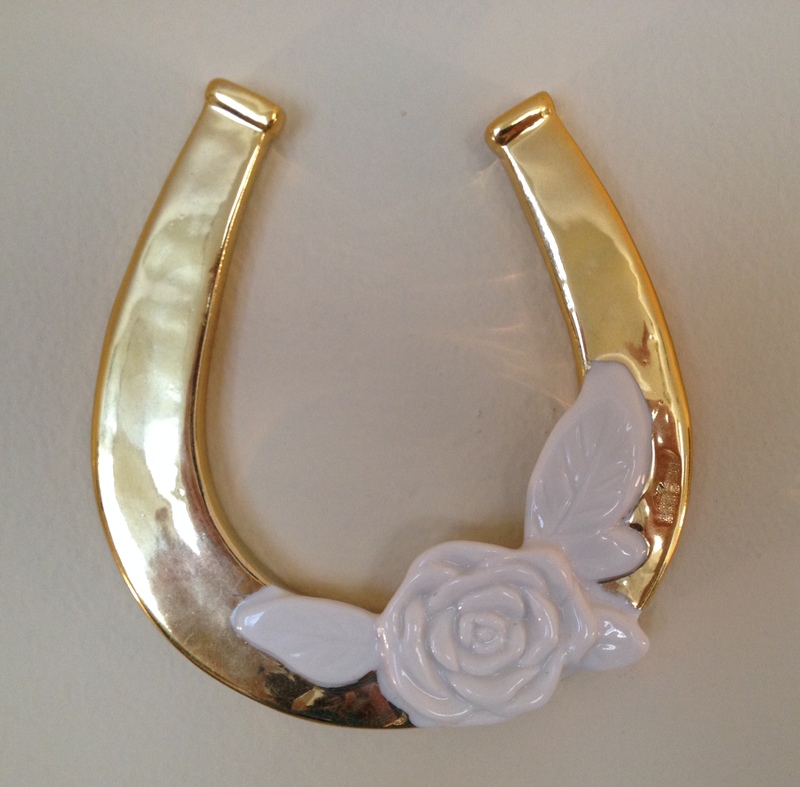 Lately I’ve been searching for a good luck symbol that spoke to me and I just came across this beautiful horseshoe at a local boutique. I’m loving the ceramic rose, it’s unexpected and gives a feminie touch to an otherwise hard shape. Perfect! We hung this in our living room, in the proper Feng Shui position, and feel good about the new addition to our decor. Little by little, it’s getting there! You can read more about the Feng Shui guidelines here. 14 Apr	This entry was published on April 14, 2014 at 8:01 am. It’s filed under Decor and tagged feng shui for the home, Good Luck Horseshoe, Good Luck Symbol for the Home. Bookmark the permalink. Follow any comments here with the RSS feed for this post.